Pros Incredibly well-made with a pivoting head for adding hair removal comfort. Features gentle and efficient speed settings, and a convenient Smartlight that makes it easy to find small, short hairs. Cons Can't be used while it is plugged in, and it loses power as the charge begins to fade. Summary The best on the market. Relatively expensive, but it will get the job done, quickly, efficiently, and painlessly. Pros Stands out for its extra wide head that removes a lot of hairs per stroke. 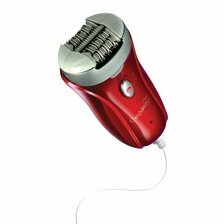 We love that it has 2 speed settings for quick hair removal and can be used as a shaver and trimmer. Cons Somewhat noisy to use. It has less tweezers than other models we tested, and can be more effective as a shaver than an epilator. 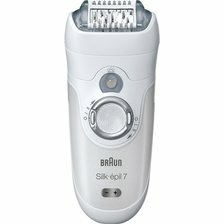 Summary With several attachments and a wide head, this epilator is an effective model for a mid-range price, but the Emjoi AP is a better value. 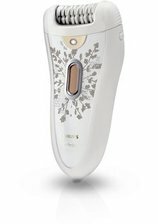 Pros We give this wet/dry epilator high marks for its 3 in 1 features that allow it to be used as an epilator or a shaver. The bikini attachment makes hair removal in sensitive areas easy. Cons This model can only be used when charged and cannot be used while plugged in. The wide handle make it somewhat awkward to use, especially when it is wet. Summary Though we love that the Panasonic ES-WD51-P is a 3 in 1 hair remover, we found that it is not as comfortable to handle and use as the Remington 6025. Pros This affordable epilator stands out for having Glide technology and 72 tweezers for quick hair removal. We give it high marks for its dual heads that add to its effectiveness. Cons The Emjoi AP misses some hair, especially those that are fine or very short. We also found that this model is not cordless. Summary An affordable epilator that stands out for having more tweezers than most models for a value price. Pros Gets top marks for its curved, easy-to-hold design. Can be used with or without a cord even when it isn't charged. 2 speeds for precise and fast hair removing. Cons More than twice the price of the other models. Summary An ergonomic design that is easy to handle and less painful to use than other models. Its features and easy hair removal make it worth the price.